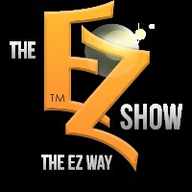 Eric "EZ" Zuley hosts The EZ Show, a fast-moving entertainment and business based talk show with guest singers, comics, actors, and others in the entertainment industry. Your best place to interact with Hollywood "The EZ Way." The EZ Show is shot at Pepper Jay Productions studio and produced by Pepper Jay Productions and Eric Zuley.